Built as a seaport but today carried inland, Miletus is one of the largest and stately ancient cities. The excavations are still being held in the historic site revealing the metropolis which Miletus was once among the Ionian cities. 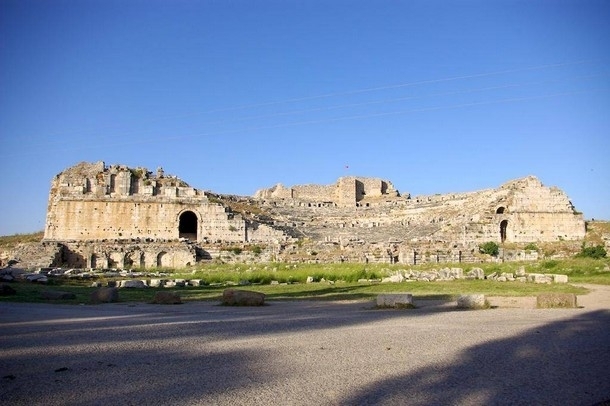 The Roman theater with a capacity of 15,000 spectators is the most striking sight of the city. Also of interest are the spas, the oracle center of Delphinium, the Agora and the Gymnasium.